Second, when you turn on your headlights, the tail lights should light up at a lower level than if you were on the brakes. Is your center brake light coming on when you turn on the headlights? Are the lights noticeably brighter when you hit the brakes than if you just have the lights on? A little more info will help us. When I do that, I risk getting arrested! Dumb question: did you check that the brake light bulbs are the correct kind? 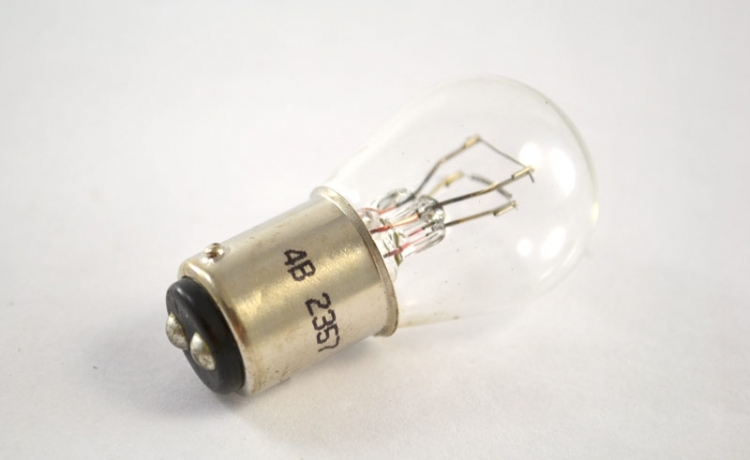 You should have 2357 bulbs with two filaments. If you had single filament bulbs in there with bases that made contact to both points, both filaments would light when the headlights were on, and there might be other effects on the rest of the lighting system and any related systems. For example, I'm not sure what causes your gauge lights to come on, but if that's tied in to the headlight (and tail light) circuit, it could cause them to come on as well. lights share the same ground so its most likely not the ground since they both come on at the same time. just wondering if it would be sensible to go ahead and replace the multi function switch hon the steering column. When I say "brake light" vs "tail light" in regards to the rear lights, the dual filament bulbs perform both purposes. When the headlights are on, one filament is illuminated. When you step on the brakes, the other filament is illuminated. As for your third brake light, that's an LED cluster, so a change in resistance of the system (like a short across the other circuit) would cause them to illuminate much more dimly. Your bulbs should have two contacts on the base, like the photo below. The contacts may be round or oval shaped. I'm almost thinking it the brake switch. Idk about his 2000, but mine looks like a single bulb. I would definitely check out the brake light switch mounted on the brake pedal.